Headache? Allergies? Indigestion? Looking for a place to store those vitamins too? 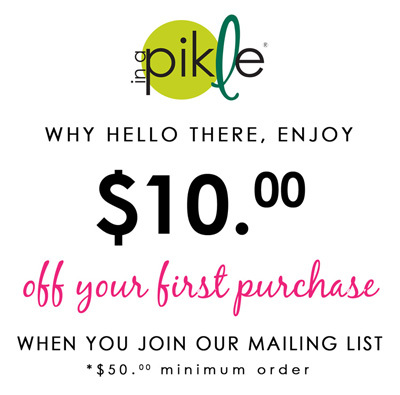 Well, look no further than this exclusive “In A Pikle” pillbox. It’s CLEAR, COMPACT and CUTE too boot! The “In A Pikle” pillbox allows you to safely store all those pills/medications so you can access them during any “In A Pikle” moment.